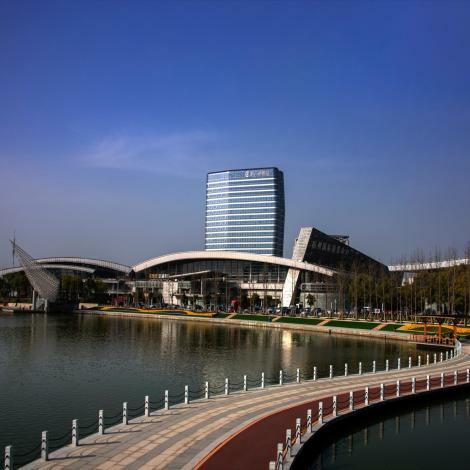 The Moon Lake Hotel is a great choice for guests looking for accommodation in Yangzhou, having been recently opened in 2017. The hotel is conveniently located a short 4km drive from Yangzhou Railway Station. This hotel is located near many of Yangzhou's attractions including Yangzhou Shuangbo Museum, Twenty-four Bridge and Daming Temple. This hotel makes a great place to kick back and relax after a long day of sightseeing. Travelers requiring pickup service can book this directly through the hotel. Airport pickup can be arranged by the hotel upon request. Guests of this Yangzhou hotel can make use of the parking facilities. According to our trusted guests, the facilities at this hotel are first-rate. This hotel is particularly popular with those traveling with families. This hotel is consistently one of the most popular choices for travelers to Yangzhou.